The colloquium of the Department of Chemical and Biological Engineering takes place at 16.15 on many Thursdays, usually during the lecture period, in the Hanns-Hofmann Hörsaal (KS I, Cauerstr. 4). The talks are given by invited national and international researchers and cover critical themes in current research. The lectures, given in English, are targeted to a broad interdisciplinary audience so that students and researchers of the department and beyond can follow. The colloquia are of particular benefit for Master’s and Bachelor’s students in order to gain insight into the wide variety of subfields in chemical and biological engineering and assist with their choice of future project topics. Update (17 April 2019): Still waiting on a couple of talk titles/abstracts – please check back at a later date! Nanoporous materials, such as zeolites and metal-organic frameworks, play numerous important roles in modern oil and gas refineries and have the potential to advance the production of fuels and chemical feedstocks from renewable resources. The performance of a nanoporous material as separation medium and catalyst depends on its framework structure and the type or location of active sites. To date, more than 200 zeolite framework types have been synthesized and more than 330000 thermodynamically accessible zeolite structures have been predicted, and the corresponding numbers are significantly larger for metal-organic frameworks. Hence, identification of optimal nanoporous materials for a given application from the large pool of candidate structures is attractive for accelerating the pace of materials discovery. Here we identify, through a large-scale, multi-step computational screening process, promising nanoporous materials for (i) purification of ethanol from fermentation broths, (ii) sweetening of highly sour natural gas mixtures, and (iii) hydroisomerization of linear to slightly branched alkanes with 18-30 carbon atoms. This talk will also highlight recent developments enabling first principles Monte Carlo (FPMC) simulations for which the potential energy is calculated on-the-fly using Kohn-Sham density functional theory. Applications of FPMC to the prediction of (a) adsorption isotherms for gas molecules in metal-organic frameworks with under-coordinated metal nodes and (b) reaction equilibria in cation-exchanged zeolites. Emphasis will be given to simulation methodologies and microscopic-level origins of the observed thermodynamic behavior. In this talk a modular and universally applicable platform for the automation, analysis and documentation of bioprocesses will be presented. This platform includes hardware components from which a wide variety of devices and systems can be built, as well as a sophisticated cloud solution for bioprocess design, documentation and data analysis. This enables the design and automated execution of complex bioprocesses e.g. in the fields of tissue engineering, stem cell technology, or food technology. Thanks to the open, modular system, the platform can be expanded at any time, including by the user, and new technologies can be integrated. The OSPIN platform accelerates development times and makes it straightforward to scale customer projects from the R&D phase to industrial applications. This brings the OSPIN platform to the level of an „operating system“ for biotechnology with a wide variety of potential applications. Recent years have witnessed tremendous progress in the synthesis of novel, structural diverse conjugated polymers with high figures of merit for organic solar cells, transistors and other applications. Issues pertaining to these materials made by step growth polycondensation is the role of chemical defects that eventually form during synthesis, batch to batch reproducibility and molecular weight control. I will present several examples of conjugated polymers made in our group in which these aspects are correlated with device performance. Using selected examples of naphthalene diimide-, diketopyrrolopyrrole- and benzothiadiazole-based copolymers as p- and n-type materials, application in organic photovoltaics, n-channel transistors and thermoelectrics will be presented, and the role of the mentioned molecular parameters will be discussed. Fixed-bed reactor models with particle-resolved CFD – Pain or gain? A catalytic fixed-bed reactor is a widely used reactor type in the chemical and process industry. It is a tube filled with catalytically active pellets with gaseous reactants flowing through the bed and being converted into products. There exists models for such a reactor on different levels of detail, starting from simple one-dimensional models. However, the interaction between transport phenomena and the progress of reaction vary throughout the bed. Under extreme conditions, e.g., small tube-to-particle diameter ratios and highly endothermic or exothermic reactions, the assumptions of the simple models collapse. 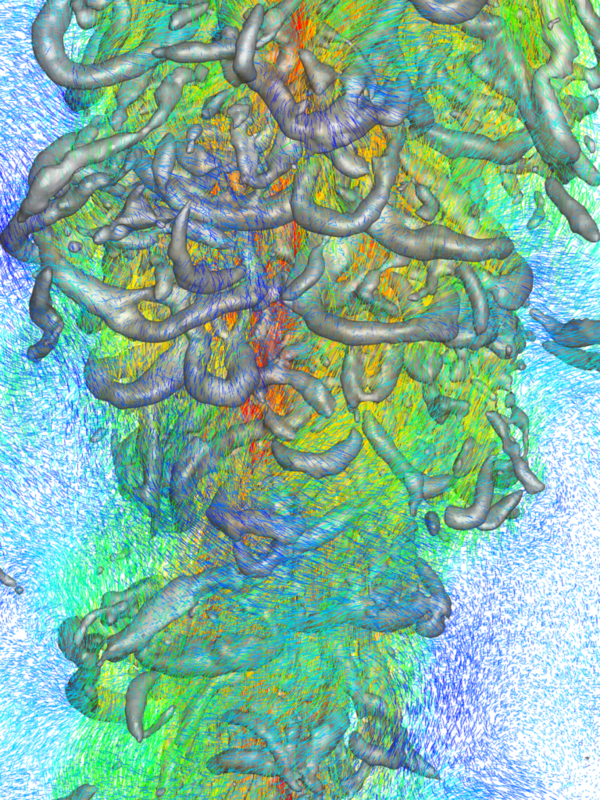 With computational fluid dynamics (CFD) it is possible to resolve transport phenomena, i.e., momentum, heat, and mass transport, as well as surface reactions, with a high resolution. Particle-resolved CFD is the approach to resolve geometrically every pellet inside the bed, see Fig. 1, which leads to a huge amount of information. Figure 1: Detailed CFD simulation of a fixed-bed reactor (L=500 mm). Here, an introduction and applications of this approach is given. Afterwards, validation cases are presented and discussed. The synthetically generated bed consisting of different shapes will be compared with experimental data. Heat transfer and heterogeneous catalytic systems are validated with spatially resolved data. The simulation results are in very good agreement with the experiments. However, there are still open questions when surface reactions are included in the model. Still, with this approach it is possible to explore “in silico” different designs, for example different shapes of pellets, which have a strong influence on reactor performance. In a concluding outlook, the transfer of this CFD approach to electrochemical systems is given, see Fig. 2. 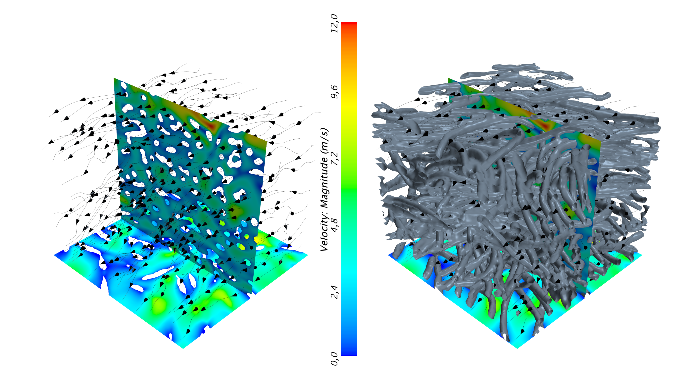 Figure 2: Detailed CFD simulation of a porous electrode in a redox-flow battery (0,25×0,25×0,25 mm). The proper responses of cells to mechanical stimuli are important in numerous physiological processes. With the development of microsystem engineering tools, controlled and repeatable application of active mechanical input to single cells is becoming more available. Several microfluidic platforms have been developed for mechanotransduction research over the last decade that many focus applying a single mechanical perturbation and often to a population of cells. Here we develop a multilayer polydimethoxysilane (PDMS)-based microfluidic device with the goal of applying controlled aspiration and compression to single cells. Two independent pneumatically controlled channels above the flow channel serve to facilitate cell loading and compression when they are actuated. As a model system of cell and to demonstrate the salient features of our device, we generated water-oil-water double emulsion droplets and demonstrated trapping, aspiration, and compression of double emulsion droplets. More recently, we have combined this with microcontact printing to confine the size of single cells and investigate the effect of static vs. cyclic compressive stress to single cells. Our unique and versatile microfluidic compression device will provide tremendous opportunities for future single cell mechanotransduction studies. At the end, I will also briefly describe our efforts in engineering artificial cells for biomedical applications. Providing large numbers of undergraduate students in scientific and medical disciplines with engaging, authentic wet-laboratory experiences is important, but challenging, especially with increasing student enrolments and developments in state-of-the-art equipment/techniques. Virtual laboratories (vLabs) are a potential means to enable interactive learning experiences and have the scope to: enhance the undergraduate student experience by being hands-on, build analytical skills, and promote higher order thinking such as problem solving. We have developed seven vLabs, the Molecular Expression Virtual Laboratory Suite, which are integrated and link to one another to teach technical and theoretical concepts that underlie gene and protein expression, including RT-PCR, qPCR, Western blotting, EMSA, cell culture, SNPs and siRNA. The Molecular Expression Virtual Laboratory Suite exposes students to these experimental techniques, associated analytical skills and the opportunity to learn difficult concepts. Indeed, implementation of the Western blotting vLab (see Figure 1) in a third year Pathology course for science undergraduates has demonstrated its effectiveness in engaging learners. As vLabs are produced on the Adaptive eLearning Platform (AeLP) developed by Smart Sparrow™, students receive immediate formative feedback and staff can track students’ progress and provide remedial action as required. The BEST Network will also be presented to showcase several case studies of how facilitated learning of technical molecular laboratory skills and more routine scientific practical skills can link to development of diagnostic/analytical skills for undergraduate science and medical students. Such skills are important for undergraduates in building a conceptual understanding of translation of laboratory techniques to changes in human biology due to disease. The design and delivery of virtual labs and lessons addresses the issue of evolving learning and teaching paradigms using virtual spaces and also addresses the UNSW 2025 strategic priorities of Academic Excellence (A) and Educational Excellence (A2) particularly across the four pillars that support the Scientia Educational Experience: Communities, Inspired Learning through Inspired Teaching, Being Digital, Feedback and Dialogue. Short Biography: Patsie is a UNSW Scientia Education Fellow and Associate Professor in Pathology, UNSW Medicine. Recognised nationally and internationally as a medical research scientist, leading higher education teacher and innovative education researcher, she has infused her extensive medical research experience into the classroom by strategically integrating virtual laboratory adaptive lessons, ePortfolio pedagogy and collaborative communities of practice to allow her students to learn career-relevant skills. As UNSW Teaching Fellow, Patsie led course and program-wide ePortfolio implementation/use at UNSW Sydney to facilitate student awareness of professional skills development. Patsie has attracted national funding to support development of eLearning resources. Patsie has been recognised for her innovations in research communication, virtual laboratory lessons and ePortfolio use with numerous institutional/national teaching awards and nominations. Well-defined copolymers and block copolymers featuring charge-tunable groups in the side chain are ideal materials for the design and modification of interfaces in various settings or for controlling and directing self-assembly processes. We herein report on the synthesis of polyelectrolytes, polyampholytes, and polyzwitterions as well as the corresponding block copolymers using free radical and controlled radical polymerization techniques. One key building block in our setting is polydehydroalanine (PDha),[3, 4] a polyzwitterion with high charge density and, depending on the pH, tunable net charge (Figure 1). 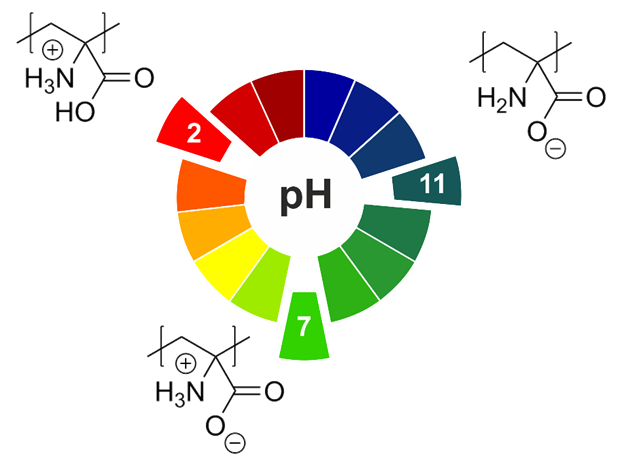 Figure 1: pH-dependent charge characteristics of PDha. Apart from interesting solution characteristics, we have used PDha and partially protected derivatives as coating materials for iron oxide nanoparticles or within polyelectrolyte multilayers and could show that this allows reversible adsorption / desorption experiments using various oppositely counterparts, including proteins and model pollutants such as methylene blue. [6,7] Besides PDha, we are also interested in the incorporation of polymerizable naphthol derivatives to create polymeric photoacids which show different charge characteristics and solubility in aqueous environment with and without irradiation. Finally, once charge-tunable building blocks are introduced as responsive segment in block copolymer membranes, electrostatic adsorption can be used to immobilize powerful oxidation catalysts such as polyoxometalates based on Mn and V. We could show that such self-supporting hybrid and heterogeneous oxidation catalysts can be used in different model reactions both under static conditions as well as under flow (Figure 2). Figure 2: Oxidation of tetrahydrothiophene to the corresponding sulfoxide under flow using immobilized Mn-V-POMs in block copolymer membranes. 1. C. Barner-Kowollik, A. S. Goldmann, F. H. Schacher, Macromolecules 2016, 49, 5001-5016 (Perspective Article). 2. F. H. Schacher, J. C. Brendel, Chem. Asian J. 2018, 13, 230-239. 3. U. Günther, L. V. Sigolaeva, D. V. Pergushov, F. H. Schacher, Macromol. Chem. Phys. 2013, 214, 2202-2212. 4. M. Billing, F. H. Schacher, Macromolecules 2016, 49, 3696-3705. 5. M. Billing, G. Festag, P. Bellstedt, F. H. Schacher, Polym. Chem. 2017, 8, 936-945. 6. M. v. d. Lühe, A. Weidner, S. Dutz, F. H. Schacher, ACS Appl. Nano Mater. 2018, 1, 232-244. 8. F. Wendler, K. Schneider, B. Dietzek, F. H. Schacher, Polym. Chem. 2017, 8, 2959-2971. 9. I. Romanenko, M. Lechner, F. Wendler, C. Hörenz, C. Streb, F. H. Schacher, J. Mater. Chem. A 2017, 5, 15789-15796. The novel 3D Lagrangian Particle Tracking method “Shake-The-Box” (STB) is able to extract particle trajectories from volumetric flow measurements at unprecedented numbers. STB overcomes the ill-posed reconstruction problem for 3D particle distributions at high seeding densities present for each single time-step (as known for tomo-PIV and PTV) by pre-solving the problem for each predicted time-step in a cascade of reduced complexity along a time series of images. It delivers accurate data on particles position, velocity and acceleration (material derivative) along densely distributed tracks. Subsequently, data assimilation approaches can be applied to the dense and scattered input data. An example is the “FlowFit” (FF) method, which uses Navier-Stokes-constraints for an iterative non-linear optimization process in order to gain a continuous interpolation of the flow field with minimized deviation to the measurement data. As a result one gets the full time-resolved velocity gradient tensor and pressure field with high spatial and temporal resolution. The STB method can be applied as well to short recording sequences, acquired with multi-pulse techniques, allowing investigating high-speed flows at Reynolds numbers relevant for research in aerospace engineering. Examples of the listed approaches for flow analyses and turbulence characterization based on experimental data will be demonstrated. Figure: Thermal plume represented by ~300,000 Lagrangian particle tracks in a 0.6 m³ volume, color coded with vertical velocity. Isosurfaces of Q-criterion show vortical structures. For a controlled fine-tuning of materials’ key properties, a detailed knowledge of the structural and dynamic features of the materials poses a prerequisite. To this end we develop and utilize modern Solid State NMR strategies which not only provide information about the structural motifs on short and intermediate length scales but also offer a handle to study the microscopic dynamics within these materials. Especially for materials, which are characterized by a lack of translatorial periodicity, considerable disorder or high dynamics, these approaches offer unprecedented insight into the structure and dynamics. We will show how these novel approaches may be successfully employed to study the structure of amorphous materials at ambient conditions and to obtain information about its evolution with temperature. 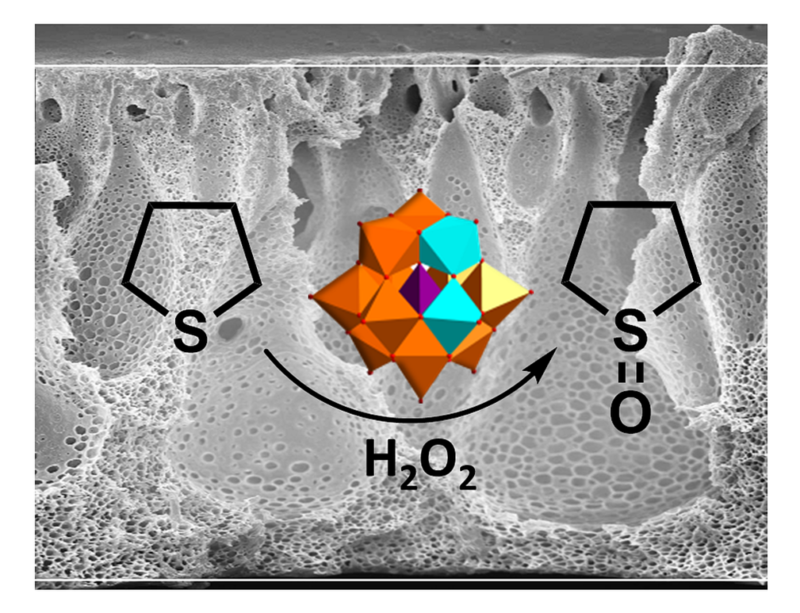 Further, new solid state electrolytes for next generation’s Li batteries will be presented with the focus here being on the local Li coordination and the mechanism of ion transport. 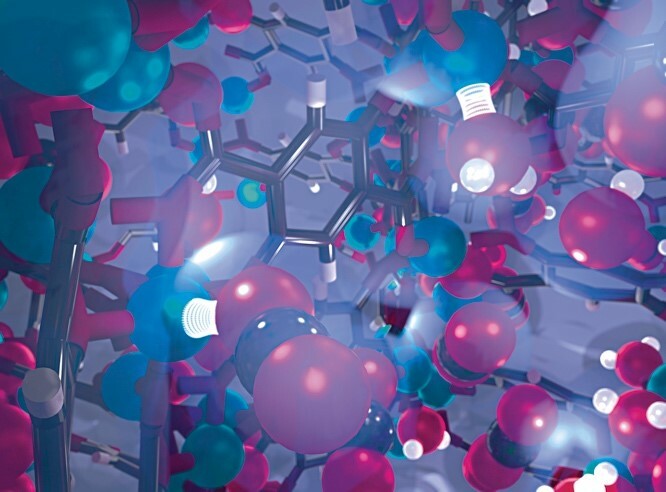 Along the way, a variety of novel NMR (hardware) solutions will be presented, even widening the range of possible applications of NMR spectroscopy in materials science. Examples include MAS NMR at high spinning speeds and ultra high temperature and approaches for high resolution dipolar based NMR spectroscopy without fast MAS. Classical density functional theory (DFT) and molecular simulations are powerful methods for predicting adsorption phenomena and for predicting properties of liquid-fluid interfaces. The talk assesses DFT through comparison to results from molecular simulations and compares both to experimental data. Systems thereby investigated include vapor-liquid and liquid-liquid interfaces of mixtures, as well as adsorption processes at planar walls or microporous materials. Predictions from DFT are found in very good agreement to results from molecular simulations. Contact angles of liquid droplents on solid substrates are also described in good agreement to experimental data. Dynamic density functional theory (DDFT) allows predicting coalescence events of droplets and therewith forms an important bridge to continuum mechanics. Oil is a finite resource, and combustion of fossil fuels contributes to global warming. On the other hand, oil is currently the backbone of our mobility system. With increasing concerns about global warming and dwindling resources, we have to develop alternatives on a very large scale. These could be different synthetic liquid fuels, which are accessible from renewable carbon sources, or gaseous energy carriers, such as hydrogen or renewable methane. Moreover, a substantial part of our mobility system could be transformed to electricity for propulsion. In the presentation, options for future mobility systems, obstacles and possible transformation pathways will be discussed. 25 % of the global population suffer from nonalcoholic liver disease (NAFLD) and this condition increases very much in recent years. NASH and liver cancer are to a great extent the cause of prolonged NAFLD. In order to obtain new treatment regimens it is important to have relevant human iin vitro systems as the basis for evaluation of mechanisms and treatment options. Hepatic in vitro systems should be able to provide a cellular phenotype similar to the situation in vivo in man. Using novel a model of 3D PHH spheroids we observed that drug metabolism was preserved for several weeks of cultivation and that transcriptomic, proteomic and metabolomics analyses revealed similar phenotype as in freshly isolated hepatocytes. In addition using this 3D spheroid systems we have been able to mimic different liver disease like NAFLD, NASH and fibrosis and found the system suitable for evaluation of mechanisms behind and for identification of drug candidates. In the lecture recent results describing the properties and usefulness of the system will be presented. The importance of molecular structure to molecular function is a central tenet in modern chemistry, with the lock-and-key model of enzyme activation representing a classic example. Likewise, the function of inorganic nanomaterials depends on a number of structural parameters that include crystallite size and shape as well as architecture (e.g., hollow versus solid). To realize the function of such materials, these structural parameters must be precisely controlled and the Skrabalak group is expanding the synthetic toolkit to achieve such advanced nanostructures. This seminar will highlight the use of seed-mediated co-reduction as a route to structurally defined bi- and trimetallic nanomaterials, hierarchical materials, and intermetallic (i.e., ordered alloys) compositions. These synthetic advances, in turn, are enabling previously unimagined nanostructures to be accessed with new function for applications in chemical sensing and catalysis. Ultimately, understanding the relationship between nanostructure form and function will allow this relationship to be inverted to achieve materials by design. Still, the synthetic toolkit must exist to realize this vision and achieve desired nanomaterials on demand. Developing and realizing sustainable concepts for the future of mobility is presently one of the most urgent tasks. There will be no simple one-cap-fits-all solution for the challenges in this field. Different options will have to be explored and combined suitably. Synthetic fuels play an important role in this. In Germany, much of the current discussion in this field is focused on the NOx and soot emissions of diesel engines. Synthetic fuels can contribute to solving these problems. The most attractive synthetic fuel to replace fossil diesel is OME. Germany is presently the leader in the technology to produce OME. However, it is likely to lose that position to China, where, in contrast to Germany, large-scale plants for producing OME have recently become operative. OME (oxymethylene dimethyl ethers) are oxygenates of the structure H3C-O-(CH2O)n-CH3. OME fuels strongly reduce the soot formation in diesel engines. As a consequence, also the NOx emissions can be strongly reduced [1,2]. All routes for the production of OME are based on synthesis gas and proceed via methanol. Hence, the raw material basis for producing OME is extremely flexible: either traditional (coal, gas) or renewable raw materials (biomass, CO2) can be used. While older routes for the production of OME involved expensive intermediates like methylal and trioxane , this work presents a novel OME process that uses aqueous solutions of formaldehyde and methanol as feedstock. The process design is extremely challen¬ging as OME of the desired chain lengths n = 3 − 5 have to be separated from reactive multicomponent mixtures which show several (reactive) azeotropes, liquid demixing and solid formation. The successful design requires combining advanced experimental techniques like NMR spectroscopy with advanced physico-chemical modeling and process simulation. The presentation covers all sides of the topic: from the physico-chemical fundamentals, over the experimental studies and the modeling, simulation, and optimization, to the application of OME as synthetic fuel and its perspectives. The dynamic behaviour of granular materials and powders is of considerable interest in a wide range of industries like geotechnics, food, civil, or chemical/mechanical engineering. However, the full understanding or control of the different phenomena and mechanisms of the particle systems, natural phenomena, or processes is an essential challenge for both science and application due to the multi-scale nature from particle contacts via particles, force-chains, and collective macroscopic flow and structures. The fundamentals can be studied by direct particle simulation methods, where often the fluid between the particles is important too, in order to gain a microscopic understanding of the processes and mechanisms. For large-scale applications, a micro-macro transition towards continuum theory is necessary, however, only smaller applications can be modeled nowadays directly by discrete micro-scale methods. Instead, more often meso-scale methods are used where the particles are up-scaled, representing a certain number of primary particles. As one example for such meso-models, we use experiments and discrete particle simulations (DEM) to investigate the dosing of cohesive fine food-powders. Other applications involve avalanches or chute flows, ring-shear rheology testing of granular flows as well as the study of the elastic, or elasto-plastic solid-like material behavior. As alternative multi-scale approach, the micro-macro transition from discrete particulate systems to continuum theory involves a mathematical homogenization or coarse-graining that translates particle-positions, -velocities and -accelerations into density-, stress-, and strain-fields, by statistical spatial- and temporal averaging. The macroscopic fields are compatible with the conservation equations for mass and momentum of continuum theory, and also the fluctuating kinetic energy provides a measure for the importance of fluctuations in those systems. The ultimate goal is to find constitutive relations that contain information about the micro-structure and -fluctuations, and to solve those on the macro-level for solving application and optimization problems. Examples considered are chute-flows down slopes, ring-shear testers as well as rotating drums, where the same local rheology models all should work, independent of the geometry. Process intensification is key to living organisms. Within the constraints posed by the environment, various properties are needed: scalability, efficient transport across length scales, the emergence of robust and resilient operation by collective processes (in a cell, amongst cells, amongst organisms and their environment), and more. When resources are scarce, efficiency and sustainability are essential for survival. Clearly, all these features apply equally to industrial catalytic processes. However, current processes and materials are often designed using bottom-up principles, matching constraints a posteriori, while applying rational design principles at individual length scales only. Discovering and applying the principles behind desirable traits in natural systems, like scalability and efficiency, can guide the intensification of chemical processes and the design of novel catalytic and separation systems. We demonstrate the potential of this “nature-inspired chemical engineering” (NICE) approach, in which (1) fundamental mechanisms omnipresent in nature (hierarchical transport networks, force balancing, dynamic self-organization) are utilized instead of imitating a single feature and (2) these mechanisms are properly translated within the context of the technological application. I will give concrete examples of how the NICE methodology is applied to the intensification of multiphase reactor operation (fluidized beds, in particular) and catalytic processes (including heterogeneous, bio- and electro-catalytic processes, such as fuel cells). Time permitting, I will also touch upon membrane separations. Titania (anatase polymorph) has been extensively studied as a photocatalyst for organic pollutant degradation as well as microbial inactivation. Commercially, titania has been applied only as self-cleaning coatings mostly in Japan, South Korea and Singapore. Changes in the color and texture of substrates as well as the need for ultraviolet excitation for photocatalytic activity are major limitations for commercial use of titania for antimicrobial and indoor applications. Achieving visible light activation and coating transparency can lead to broader applications of titania as a photocatalyst. We have attempted to achieve these goals by creating a Titania–Polyhydroxy fullerene (PHF) composite coating formulation. In this presentation, processing required for achieving the desired technical specifications, and marketing pathways necessary for commercializing laboratory innovations by a small company will be discussed. Catalysis and Reaction Engineering are key technologies for our modern society. Catalytic reactors produce transportation fuels, base chemicals for polymers, fertilizers, and pharmaceuticals, they are used for energy conversion and they clean emissions from mobile and stationary sources. Academic and industrial researchers around the globe optimize existing and search for new catalytic processes to meet current and future challenges. This business is competitive and sometimes frustrating. Promising catalysts often do not perform well outside the lab and improvements to established catalytic processes are incremental. One reason for this is that catalysts are dynamic. Like a chameleon changes color and pattern to adapt to its habitat, catalysts change their structure and reactivity as function of local temperature and concentration conditions in the reactor. While a chameleon still behaves like a chameleon, a catalyst in a technical reactor might behave totally different than in a well defined laboratory testing unit. In most applications, the processes inside the catalytic reactor remain hidden. Reactors are normally non-transparent, operate at high temperature and pressure conditions and contain toxic, flammable or even explosive chemicals. Figuratively speaking, the reactor is a „black box“ (Fig. 1). Measurements are restricted to inlet and outlet flows, mathematical models are often too simplified and reactor optimization is based on trial and error. The Institute of Chemical Reaction Engineering at Hamburg University of Technology develops experimental and simulation methods to resolve the physical and chemical processes in catalytic fixed bed reactors. The experimental methods range from measurement of concentration and temperature profiles in reactors to spatially resolved operando characterization of the catalyst in the reactor by Raman spectroscopy. In the field of reactor simulation we generate catalyst packings by DEM simulations and compute the flow-, concentration- and temperature field inside the reactor by particle resolved CFD methods (Fig. 2). The knowledge gained from measurements and simulations leads to strategies to improve the performance of the reactor, e.g. by increasing the yield of the target product and minimizing the formation of waste products. Hydrogen is often considered the best means by which to store energy coming from renewable and intermittent power sources. With the growing capacity of localized renewable energy sources surpassing the gigawatt range, a storage system of equal magnitude is required, such as the production of electrolytic hydrogen by water electrolysis. Despite of more than 100 years of experience in alkaline electrolysis systems, and thousands of plants installed all over the world, only a few systems or industries remain, providing the state-of-the-art of this technology today. This is due to the fact that the cost of electrical energy has always remained as an uncomfortable barrier, with electrolytic hydrogen costs not being able to compete with the costs for the production of hydrogen by conventional steam reforming of fossil fuels. Nevertheless, today, increased interest can be observed for PEM water electrolysis technology, and over the past 20 years, new companies and projects have appeared, with new leaders being consequently established in this growing niche. The reason is that PEM electrolysis provides a sustainable solution for the production of hydrogen, and is well suited to couple with energy sources such as wind and solar. The advantages of PEM electrolysis over alkaline electrolysis together with novel R&D approaches can potentially reduce the investment costs of PEM electrolysers. We expect that in the following years, frontier advancements on PEM electrolysis systems will appear, demonstrating a true capacity to ultimately establish hydrogen as a key player in the energy market, and contribute to a future hydrogen economy. This lecture fundamentally bases on the eminent tendency of amphiphilic molecules to spontaneously self-assemble. Striving for the thermodynamically stable state the amphiphilic molecules form nanostructures without any input of energy or formulation procedure. Thus – dependent on the type and number of solvents – nanostructured fluids may form ranging from micelles, bilayers, vesicles, lyotropic liquid crystalline phases to microemulsions. The unique properties of microemulsions, namely, the ultra-low interfacial tension, the large interfacial area and the ability to solubilize otherwise immiscible liquids enable numerous applications. Microemulsions can be successfully used as smart reaction media in organic reactions with reagent incompatibility  and for the environmentally friendly degreasing of animal skins . Furthermore, the fascinating nanostructure of both bicontinuous and droplet microemulsions has been copied nearly one-to-one to polymeric materials . A promising idea for the preparation of low-cost, polymeric nanofoams is the “Principle of Supercritical Microemulsions Expansion” (POSME) . Within the framework of a BMBF project we were able to precisely track the pressure-induced transformations in brine/CO2/fluorinated surfactant microemulsions combining a stroboscopic high-pressure cell that provides adjustable pressure cycles (1 < p(bar) < 300 and f < 10 Hz) with time-resolved small angle neutron scattering . In another application of microemulsions, a soot-free and NOX-reduced combustion  could be obtained burning water-diesel microemulsions in diesel engines. However, the microemulsion has to be formulated on-board just before the injection unit, if one wants to adjust the water content in dependence of the rotation speed. In order to ensure the fast formation of water-diesel microemulsions, their formation kinetics has been studied by TR-SANS combined with a fast stopped-flow set-up . T. Wielpütz, T. Sottmann, R. Strey, F. Schmidt, A. Berkessel, Chem.-Eur. J. 12, 7565 (2006). G.R. Pabst, P. Lamalle, R. Boehn, G. Oetter. R. Erhardt, R. Strey, T. Sottmann, S. Engelskirchen, J. Am. Leather. Chem. As. 99,151 (2004). R. Schwering, L. Belkoura, R. Strey, T. Sottmann, X. Gong, H. T. Davis, SOFW Journal 135, 43 (2009). R. Strey, T. Sottmann, M. Schwan, DE102 60 815 B4 (2008). M. Schwan, L. G. A. Kramer, T. Sottmann and R. Strey, Phys. Chem. Chem. Phys, 12, 6247 (2010). R. Strey, A. Nawrath, T. Sottmann, European Patent application WO 2005012466 A1 (2005). A. Müller, Y. Pütz, R. Oberhoffer, N. Becker, R. Strey, A. Wiedenmann and T. Sottmann, Phys. Chem. Chem. Phys. 16, 18092 (2014). H.F.M. Klemmer, C. Harbauer, R. Strey, I. Grillo and T. Sottmann, Langmuir 32, 6360 (2016). Noble metal nanoparticles (NP) are of great scientific interest due to their unique optical and electronic properties. Since the physical properties of these particle systems strongly depend on the size- and shape distribution within the particle ensemble, most of the potential applications, as e.g. sensing or labeling purposes, demand high sample homogeneities and high yields of the desired particle shape. One of the most common nanoparticle preparation methods is the wet-chemical bottom-up approach. Here, the syntheses are based on fast occurring redox reactions, in which a metal precursor (as e.g. silver nitrate or tetrachloroauric(III) acid) is reduced by an appropriate reducing agent (as e.g. sodium borohydride or ascorbic acid). It was found that the reduction of the metal species is completed within a time interval of a few milliseconds . Such fast occurring reactions demand for a powerful mixing method, since the mixing rates of conventional methods (like stirring) are in a time scale of a few hundred milliseconds. In this case, concentration gradients can be expected, which will negatively influence the final size distribution of the particle ensemble. Therefore, the nanoparticle syntheses were carried out using a microfluidic system, which is based on a two-phase liquid-liquid plug flow . In a microchannel (d(i) = 500µm), the aqueous reactant solutions are dosed into a carrier stream of perfluorinated alkanes, which results in regular micro fluid segments. Stable convection pattern emerge inside the aqueous segments, whereby the velocities in the flow field can be increased by an increase in the total flow rate. Due to this effective segment-internal mixing, Au/Ag/Au-core/multishell-NP , triangular Ag nanoprisms , Au nanocubes , and Au nanorods with each precisely tunable sizes and optical properties could be obtained. The presented work will focus on the facile adjustability of the physical properties of noble metal NP systems using a droplet based synthesis method. Polte, J., Erler, R., Thunemann, A. F., Sokolov, S., Ahner, T. T., Rademann, K., Emmerling, F. and Kraehnert, R. (2010). Nucleation and Growth of Gold Nanoparticles Studied via in situ Small Angle X-ray Scattering at Millisecond Time Resolution. ACS Nano, 4, 1076-1082. Kohler, J. M., Li, S. N. and Knauer, A. (2013). Why is Micro Segmented Flow Particularly Promising for the Synthesis of Nanomaterials? Chem Eng Technol, 36, 887-899. Knauer, A., Thete, A., Li, S., Romanus, H., Csaki, A., Fritzsche, W. and Kohler, J. M. (2011). Au/Ag/Au double shell nanoparticles with narrow size distribution obtained by continuous micro segmented flow synthesis. Chem Eng J, 166, 1164-1169. Knauer, A. and Kohler, J. M. (2013). Screening of Multiparameter Spaces for Silver Nanoprism Synthesis by Microsegmented Flow Technique. Chem-Ing-Tech, 85, 467-475. Thiele, M., Soh, J. Z. E., Knauer, A., Malsch, D., Stranik, O., Muller, R., Csaki, A., Henkel, T., Kohler, J. M. and Fritzsche, W. (2016). Gold nanocubes – Direct comparison of synthesis approaches reveals the need for a microfluidic synthesis setup for a high reproducibility. Chem Eng J, 288, 432-440. In the context of the transformation of our energy systems the role of future combustion technologies is briefly discussed. To compensate for load variations in highly fluctuating power from wind and solar, improved combustion processes will contribute substantially to the mix of complementary energy conversion technologies. A major task in combustion science and engineering is the development of load and fuel flexible, highly efficient and clean gas turbines and reciprocating engines. This development is increasingly based on a detailed understanding of the underlying mutually coupled physical and chemical processes. In this talk it will be shown how advanced laser diagnostics in combustion systems contributes to a much improved understanding of the interaction between chemical reactions and turbulent flows that are confined by combustor walls. The term „reconfigurable“ or „programmable“ soft matter represents an emerging concept in science and technology, where the chemical, physical and functional properties of materials can be switched between well defined states by external stimulation, for example by temperature changes or by irradiation with light. Manifold examples are found in the animate nature, such as phototaxis of plants (like the head of the sunflower following the sun), and at present the challenge in research aims at harnessing such powerful behavior in artificial matter by merging the specific responsive functionality of molecules with a complex structural hierarchy. Towards this aim we have synthesized a range of thermoresponsive, watersoluble polymers with either a lower critical- (LCST) or an upper critical solution temperature (UCST) by controlled radical polymerization methods. By means of the controlled polymerization method (RAFT and ATRP) specific end group functionalizations can be achieved. Upon variation of the temperature these polymers show a characteristic transition of their solubility and consequently of the coil dimensions in the aqueous phase, becoming soluble above their UCST, or insoluble above the LCST due to polymer coil collapse. These polymers show already a complex aggregation behavior in the solution state, which specifically depended on the end group functionalization. Concomitantly, the aggregation state and superstructure formation (micellar and vesicular aggregates) depends on the external thermal stimulation. The different polymers were also endowed with photoreactive groups that allow crosslinking upon irradiation with light. This photocrosslinking strategy enables immobilization of the transient state when changing external conditions. From these polymers various hydrogel layer architectures could be realized that find application as responsive sensor matrix with high binding capacity in optical sensor platforms based on surface plasmon resonance or Bloch surface waves. Details of the various synthesis strategies and characterization results will be presented, and a hypothetical model of the structure-behavior relationship will be discussed based on the hydrophilic-hydrophobic balance of the end groups with the polymer chain. Self-amplifying enantioselective reactions are important in the context of Origins-of-Life to understand the formation of a homochiral world. The understanding of such complex mechanisms leading to amplification of chirality is the key to a directed design of such reactions and catalysts. The most prominent example of such an autocatalytic process is the Soai reaction.1 In this presentation mechanistic investigations and a novel mechanism of the Soai reaction will be discussed and strategies to transfer the knowledge to new reactions will be presented. In particular stereolabile interconverting catalysts open up the possibility of directing enantioselectivity in asymmetric synthesis by formation of diastereomeric complexes with chiral auxiliaries.2,3 The successful realization of such a system by decoration of the ligand backbone with chiral recognition sites attached to a structurally flexible phoshoramidite type catalyst, that can sense the chirality and induce enantioselectivity, is presented.4 Structural flexibility and sensing of the chirality of product molecules result in a rapid increase of enantioselectivity of the dynamic catalysts (Δee of up to 76%) and a shift out of equilibrium. 1. K. Soai, T. Shibata, H. Morioka, K. Choji, Nature 1995, 378, 767-768. 2. F. Maier, O. Trapp, Angew. Chem. Int. Ed. 2012, 51, 2985-2988. 3. G. Storch, O. Trapp, Angew. Chem. Int. Ed. 2015, 54, 3580-3586. 4. G. Storch, O. Trapp, Nature Chemistry 2017, 9, 179-187. In this presentation I will give an overview of a wide range of rationally-designed metal- and semiconductor-based nanomaterials with tailored optical properties. [1-3] For instance, it will be shown how colloidal chemistry, cation exchange reactions, and bio-inspired approaches can be deployed to obtain tailor-made nanoparticles and nanostructures with intriguing optical properties. Finally, and with a view toward industrial take up, it will be shown how different inorganic nanoparticles can be successfully processed into industrially-relevant polymer matrixes. A.J. Blanch, M. Döblinger, J. Rodríguez-Fernández, Small, 2015, 11, 4550-4559. M.A.H. Muhammed, M. Döblinger, J. Rodríguez-Fernández, J. Am. Chem. Soc., 2015, 137, 11666–11677. 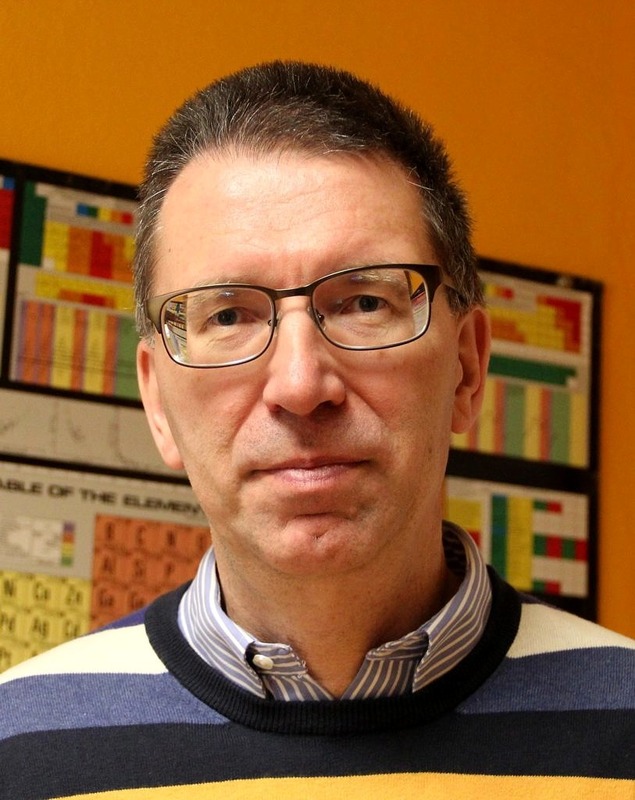 V. Baumann, M.A.H. Muhammed, A.J. Blanch, P. Dey, J. Rodríguez-Fernández, Isr. J. Chem., 2016, 56, 195–213. Taking clues from Nature we aim at understanding biomineralization processes at the molecular level to develop design rules for biogenic nanophase materials. Especially the high fidelity control of nanostructured silica within diatoms has been the envy of material scientists for decades. Where diatoms can grow silica using proteins at cell interfaces under ambient conditions, we still need high pH and harsh conditions to structure silica. Despite the apparent importance for physicists and chemists working in the fields of biomineralization, surface engineering, drug delivery, or diagnostics, the molecular mechanisms behind interfacial silica protein action have remained largely elusive. Our goal is to probe the structure and structural dynamics of such active proteins – in action at the surface. As a first step we study the diatom silica peptide R5 when interacting with silica. We use methods based on theoretical and experimental sum frequency generation spectroscopy combined with computer simulations to determine the structure and the mode of action by which these proteins interact with and grow extended 2D silica interfaces. A particularly fascinating example of protein driven nucleation and phase transitions are ice-nucleating proteins. These proteins are used by specific bacteria to attack plants and cause frost damage by growing ice crystals at temperatures that would otherwise not allow ice formation. A recent survey by the NASA found that biogenic ice nucleators in the troposphere may affect global precipitation patterns. We have followed the interaction of biogenic ice seeding proteins with surrounding water to gain a detailed picture of protein-driven ice nucleation. The structure of the diatom silaffin peptide R5 within freestanding two-dimensional biosilica sheets Angewandte Chemie Int. Ed., 56, 8277-8280 (2017). Pandey, R.; Usui, K.; Livingstone, R. A.; Fischer, S. A.; Pfaendtner, J.; Backus, E. H. G.; Nagata, Y.; Fröhlich-Nowoisky, J.; Schmüser, L.; Mauri, S.; Scheel, J. F.; Knopf, D. A.; Pöschl, U.; Bonn, M.; Weidner, T., Ice-nucleating bacteria control the order and dynamics of interfacial water. Science Advances, 2 (2016). A considerable benefit of supported metal nanoparticles (NPs) over homogeneous catalysts is their handling in terms of catalyst recovering and performing continuous processes. However, homogeneous catalysts exhibit significant advantages regarding selectivity control. Especially, chemo- and stereo-selectivity, which are fundamental challenges in heterogeneous catalysis, can be achieved with homogeneous catalysts by application of tailored ligands that guide the reaction through specific interactions with the reactant. Recently, it has been demonstrated that the use of ligands is not restricted to homogenous catalysis. We demonstrated that chemo- and even stereoselectivity can be achieved with supported NPs when using ligands. [1,2] Thereby the ligands do not act as spectators but they interact with the reactant. This can lead to enhanced activities and allow for the unique molecular control over selectivity known from homogeneous catalysis. We developed a model that describes the origin of stereoselectivity on a molecular level and by application of general guiding principles from asymmetric homogeneous catalysis we were able to raise enantiomeric excesses above 80 %, the limit for industrial relevance. These results highlight the possibility to transfer fundamental principles from homogeneous to heterogeneous catalysis by ligand functionalization and the enormous potential arising from this idea for the development of novel highly active and selective catalysts. (1) Schrader, I.; Warneke, J.; Backenköhler, J.; Kunz, S. J. Am. Chem. Soc. 2015, 137, 905. (2) Schrader, I.; Neumann, S.; Himstedt, R.; Zana, A.; Warneke, J.; Kunz, S. Chem. Commun. 2015, 51, 16221. (3) Schrader, I.; Neumann, S.; Sulce, A.; Schmidt, F.; Azov, A.; Kunz, S. 2017, under revision. This presentation will showcase past and ongoing research efforts concerning the deposition and manipulation of droplets and thin liquid films in the group Mesoscopic Transport Phenomena. I will briefly introduce the underlying physics and highlight several strategies for controlling the shape and distribution of liquids in contact with solid surfaces. Chemical and topographical surface patterning can be employed to impart a desired shape to a droplet, to confine liquid to certain regions on a substrate or to induce an instability and break-up of thin liquid films. While liquids in closed channels can be transported by means of pumps and corresponding pressuregradients, liquid films that maintain a free liquid-air interface can be efficiently mobilized by modulation of the liquid-air or liquid-solid interface energies . Liquids typically flow towards local minima of a non-uniform surface temperature field. If the local temperature T(x,y,t) can be adjusted dynamically, e.g. by means of laser irradiation or integration of micro-heater arrays, then droplets can be shuttled between desired locations on a substrate. Concentration gradients of adsorbed or dissolved chemical components provide another possibility for flow actuation. These allow for higher actuation speeds, because surface tension differences due to composition modulation are usually larger than those due to temperature gradients. I will show that infrared illumination using switchable multimirror arrays can be used for pattern formation in the context of the solution deposition of functional materials and the fabrication of organic electronic devices . Lastly I will discuss ongoing studies regarding flows induced by photochemical reactions. A. A. Darhuber and S. M. Troian, Principles of microfluidic actuation by modulation of surface stresses, Annu. Rev. Fluid Mech. 37, 425 (2005). J. A. Vieyra Salas, J. M. van der Veen, J. J. Michels, and A. A. Darhuber, Active Control of Evaporative Solution Deposition by Modulated Infrared Illumination, J. Phys. Chem. C 116, 12038 (2012). Solar technologies are projected to deliver the majority of the world’s electricity by 2050, while in the interim concerted efforts will continue to be made so as to utilize fossil fuels as efficiently as possible; in particular, global waste energy in the form of rejected heat to the environment currently accounts for about 250 EJ or 60% of all consumed primary energy. In the case of solar, hybrid PV-thermal (PV/T) collector technology uses a contacting fluid flow that cools the PV cells, thus increasing their electrical efficiency while delivering a useful thermal output, and offers advantages when there is demand for both heat and power, and space is at a premium. Although both solar energy and recovered waste-heat can be used to provide hot water/steam or space heating and electrical power, as well as cooling if required, by far the most common use of the thermal output from PV/T systems and of recovered waste-heat is to use this either directly to provide hot water or steam, or in heat-integration schemes in industrial applications. Nevertheless, a wide range of opportunities arise at higher temperatures, when power-generation or cooling cycles can be employed. These additional options become viable at temperatures typically above ~80 °C, and importantly, become increasingly efficient at progressively higher temperatures. Operating solar panels efficiently at these temperatures is a significant scientific and engineering challenge, since the two modes of heat-transfer loss that reduce their performance, namely convection and radiation, are both exacerbated at higher temperatures, and efforts are being made to alleviated these losses in evacuated-collector designs with optimized surfaces and selective coatings. Similarly, a significant interest exists in improving the technoeconomic performance and value proposition of power-generation systems based on organic Rankine cycles (ORCs) whose current payback times need to be significantly reduced in order to enable the widespread uptake of this technology, including work on the design and use of novel working fluids (including mixtures) and new expander technologies, targeted specifically at the application temperatures and scales of interest. This talk will discuss recent advances in PV/T and ORC technology for high-efficiency conversion of generated or recovered heat to useful power in these applications. Probing the structure of catalysts during their preparation, their activation and under reaction conditions is a key for a targeted catalyst design. Furthermore, it is important to understand their dynamic nature, also under varying reaction conditions as occurring in exhaust gas catalysis or energy related processes in the frame of the “German Energiewende”. X-ray techniques such as X-ray absorption spectroscopy (XAS) are valuable tools for this purpose as element-specific information can be received both on amorphous and crystalline materials and, in particular, under reaction conditions while measuring the catalytic activity. Nowadays, it is well known that it is not sufficient to uncover the structure of catalysts before and after a catalytic reaction (ex situ) but such structural information is required during the catalytic reaction (operando). The same is true for materials synthesis. Also in this case in situ studies are indispensible for a deeper understanding. Since the use of hard X-rays allows penetrating a number of window materials and reaction media, this opens up the design of in situ cells imitating the conditions in conventional reactors. This approach – the structural identification by XAS and simultaneous catalytic experiments – will be illustrated for some example reactions. Even at elevated pressure, it is possible to monitor the structure of heterogeneous catalysts and thus to establish structure-activity relationships. Other opportunities of this technique and related ones are time-resolved studies in the ms-scale, structural identification of low-concentrated constituents of interest (e.g. promoters) and high resolution XAS using high-energy resolved fluorescence detectors. Particular focus has recently been given on new photon in/photon out techniques and X-ray emission spectroscopy. Finally, both on the macro- and the microscale spatially resolved studies are emerging which are expected to be very important in future. These X-ray microscopic studies combined with XAS, XRD or XRF contrast are strongly complementary to electron microsocopy and using hard X-ray ptychography even a spatial resolution below 10 nm has recently been achieved ex situ and 20 nm in situ. Continuous flow processes are seen as a future of manufacturing of speciality chemicals and pharmaceuticals. However, continuous processes could give worse performance that batch processes: this depends on the kinetic scheme, on physical properties of the system and on separation of the products and catalysts. Thus, a mixture of scale-up and process model questions must be answered to develop the most optimal process option. We are developing a generic approach to process design, combining first principles modeling with design of experiments (DoE) driven either by models or by statistics. The ultimate objective of our work is to be able to co-develop optimal reaction system configuration and its validated predictive model in the shortest possible time and smallest number of experiments. Thermodynamic and quantum chemistry calculations provide a significant amount of a priori data about a chemical system. These data can be used to develop initial, not very good, models. Existence of a model allows for model-based DoE to be used and for exploration of different hypotheses about the reaction mechanism, approaches to separation (work-up), recycling schemes, and so on. However, in some cases developing such predictive model will take simply too long. This usually is the case when reaction systems are complex: multi-phase, with very few states being observed. In this case statistical DoE and robotic experimentation offer an alternative approach to process development. A very rapid convergence to satisfactory process recipes was shown in several case studies of reactions being optimised by ‘black-box’ machine learning algorithms. The remaining challenge is to combine the experimental and computational efficiency of machine learning DoE with the desire to develop mechanistic predictive models, to ultimately allow model-based economic control and optimisation of most commercial processes. Drops are often used to produce particles of a defined size, shape, and composition. For example, pharmaceutical and food industries often employ airborne drops to produce particles through spray drying. In this case, spray-dried particles are typically spherical and their size scales with that of the drops. Drops can also be used to tune the structure of these particles, which influences their properties. This can be achieved by controlling the evaporation rate of the solvent. If drops are made sufficiently small, such that they have a high surface-to-volume ratio and therefore dry very quickly, they can even produce amorphous particles from materials that have a high propensity to crystallize. In the first part of this talk, I will present a microfluidic spray-dryer that produces µm-sized drops, which are surrounded by fast-flowing air. These drops dry so quickly that crystallization of solutes, contained in the drops, is kinetically suppressed. Hence, the resulting spray-dried particles are amorphous even in the absence of any crystallization inhibiting additives. This is particularly beneficial for the formulation of hydrophobic substances, such as many newly developed drugs, whose bioavailability is limited by their slow dissolution rates and low solubility. A possibility to produce much larger particles of controlled sizes and compositions is the use of emulsion drops as templates. These drops can be converted into particles that are dispersed in a solution by solidifying their content. The liquid-liquid interfaces of these emulsion drops offer possibilities to tune the surface chemistry of particles that are produced from them. In the second part of the talk, I will show how we use these liquid-liquid interfaces to tune the surface chemistry of particles and capsules, thereby making them responsive to external stimuli or making them mechanically very stable. However, these particles and capsules are only truly useful, if they can be produced in sufficient quantities. In the last part of my talk, I will present a parallelized device that produces monodisperse drops at sufficiently high throughputs to use them as building blocks for macroscopic materials whose structure can be tuned with the size and arrangement of drops. Almost 90 percent of human carbon dioxide emissions come from fossil fuel combustion, mainly in electricity production and transportation. In both sectors, however, complete carbon neutrality is possible by efficient exploitation of renewable energy sources such as solar and wind. To a high extent this is already realized in electricity generation in Germany. As for transportation, transition to the use of carbon free hydrogen, as the primary means for storing and transporting renewable energy, in electric fuel cell autos is debated. While ecological and social advantages of such transition are obvious, economical concerns are considerable as the initial investments are high, while the operation efficiencies of modern water electrolysers (for hydrogen production) and fuel cells (for on-board electricity generation) are low. In this context, tremendous research activities are targeting at the development and advancement of new superior electrocatalyst materials for both electrochemical technologies. In the first part of this talk I will give a short introduction into modern hydrogen fuel cells and water electrolysers and challenges they face, main electrochemical reactions, state-of-the-art electrocatalyst materials such as Pt and IrO2 and their limitations, and major experimental techniques in their analysis. The second part of the talk will be devoted to advanced electrocatalyst characterization methods, e.g. involving hyphenated techniques such as scanning flow cell inductively coupled plasma mass spectrometry (SFC-ICP-MS), developed by HI-ERN researchers and our recent experimental results on oxygen and hydrogen electrocatalysis. Here, accent is put on fast high-throughput catalyst libraries screening and stability evaluation, aiming for finding active, stable, and ideally abundant catalysts for especially challenging oxygen evolution and oxygen reduction reactions. Hence, hydrogen electrocatalysis will be covered only briefly. Nature offers the most sophisticated examples of how selectively tailored polymers, polymer assemblies, and interfaces provide well-defined nanoscopic architectures that result in specific (macroscopic) functions. This outstanding ability of property control via molecular and structural design has long motivated researchers to strive for similar power in synthetic nano-materials. While polymers represent a promising class of materials that allows realizing specific chemical functionalities, dynamic properties and flexibility, simultaneously controlling internal morphology, overall shape, and chemical functionality in a single nanoscopic system remains a challenge. Hence, the ability to realize effective multifunctionality is still in its infancy and unfortunately current examples concentrate on each aspect separately: cooperative dynamic systems are not being fully realized. To address this need, research in the Klinger Lab focuses on the concurrence of chemical functionality and morphological control in polymer colloids and nanomaterials. Following a hierarchical design concept that combines the development of tailor-made macromolecular building blocks with polymeric self-assembly, colloidal chemistry, and interfacial physics, we are developing artificial nanomaterials that will serve as building blocks for advanced technologies such as photonics, drug delivery, catalysis and lithography. 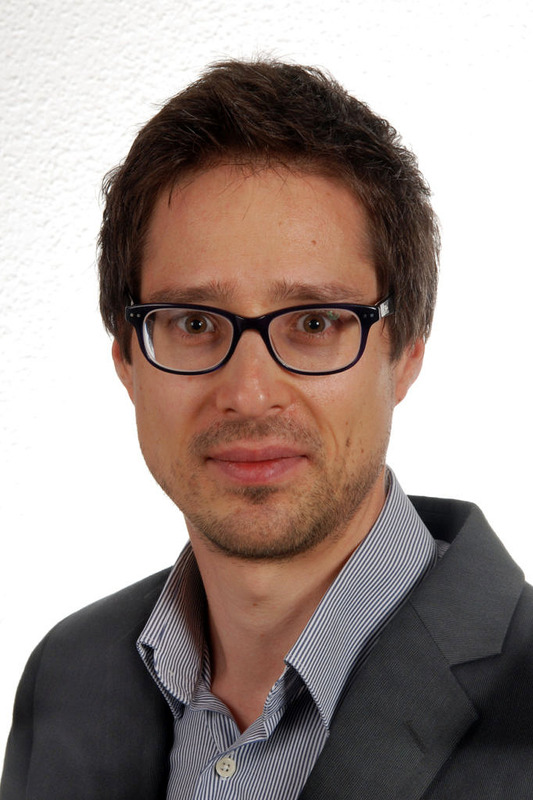 Details of the colloquia which took place from Winter Semester 2009/10 to Winter Semester 2016/17 (Organizer: Prof Dr Thorsten Pöschel ) can be found here.